Spinning is one of the most popular forms of Cardio and there is no better incentive to getting fit than working out alongside others with the same goal as you. 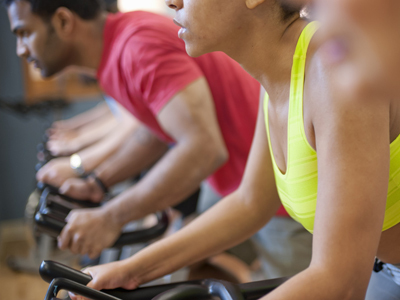 Join us for a spinning class this week and get that body working! From May 2016 you can also come and try a new twist on classical spinning » SPINN&SCULPT with Susana Reduto. Spinn&Sculpt is a combination of weight lifting and spinning, a great cardio workout for the whole body.